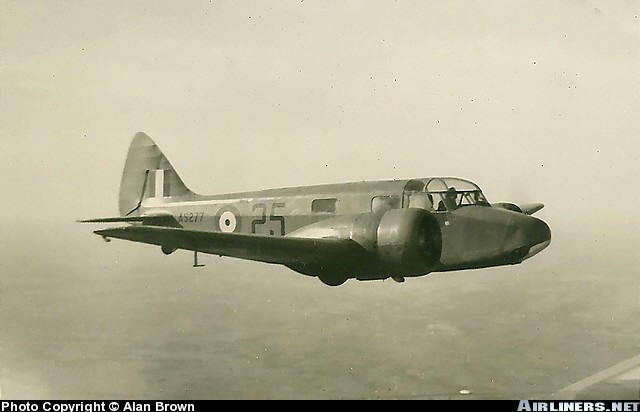 Airspeed AS.10 Oxford - Developed from the Airspeed Envoy to meet Specification T.23/36, the AS.10 was named Airspeed Oxford in January 1937 and became the RAF's standard multi-engined trainer throughout WWII. 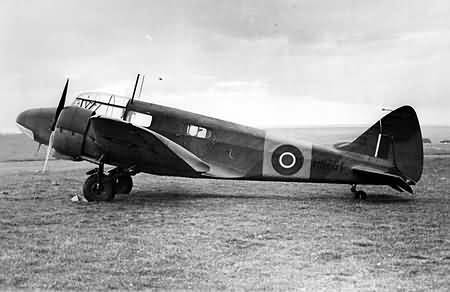 Powered by two 375 hp Cheetah Xs, the first Airspeed Oxford flew at Portsmouth on June 19, 1937, and production deliveries to the RAF began in November 1937, in two versions: Mk I general purpose, bombing and gunnery trainer with provision for an AW dorsal turret mounting one 0.303-in (7.7-mm) Vickers K gun; and Mk II pilot, navigation and radio trainer, without turret provision. 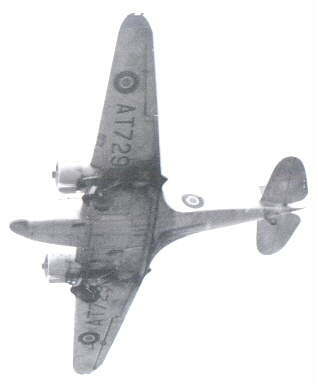 Airspeed Oxford Mk V (AS.46) was as Mk II, with 450 hp R-985-AN6 Wasp Junior engines. 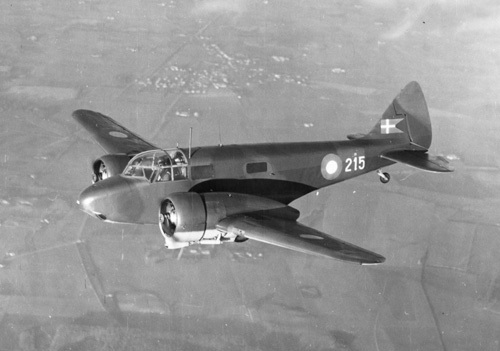 Mk III was a single prototype in March 1940 with Cheetah XV engines and Rotol constant-speed propellers, and Mk IV was projected pilot-training version of Mk III. Undesignated experimental included one (AS504) with 250 hp Gipsy Queen in-line engines, one (N6327) with twin fins-and-rudders and one (L4539) with McLaren 'drift-correcting' under-carriage to counteract crosswinds during landings. 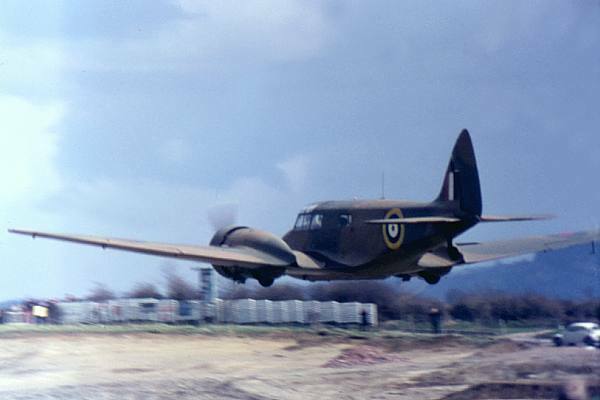 Production contracts totalled 8,751, of which 165 are believed cancelled before completion: Airspeed built 4,411 at Portsmouth and 550 at Christchurch; de Havilland built 1,515 at Hatfield; Standard Motors 750 at Coventry and Percival 1,360 at Luton, final delivery being made at Portsmouth on July 14, 1945. RAF use included, in addition to training, such duties as communications, air experience, air ambulance and radar calibration. A few operated as light bombers carrying 20-Ib (9.1-kg) bombs during Iraqi rebellion at Habbaniya, May 1941; later, Airspeed Oxfords of RNZAF adapted to carry 250-lb (114-kg) bombs for defence against possible Japanese invasion of New Zealand. 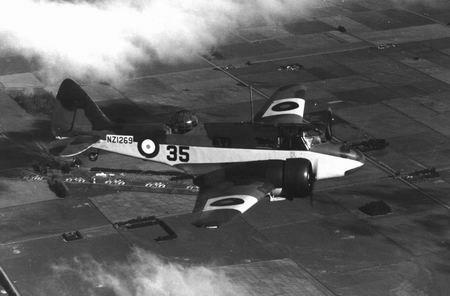 RNZAF received 297 Airspeed Oxfords from 1938 onwards; more than 500 to South Africa and Southern Rhodesia for the Empire Pilot Training Scheme; 25 Mk Is supplied to RCAF followed by 606 RAF Mk Is and Us and 188 Mk Vs used in Canada at Service Flying Training Schools, etc; 391 to RAAF from 1940 onwards for EATS schools; others served with RAF in Middle East, with USAAF in Europe, and with Portuguese and Free French Air Forces. 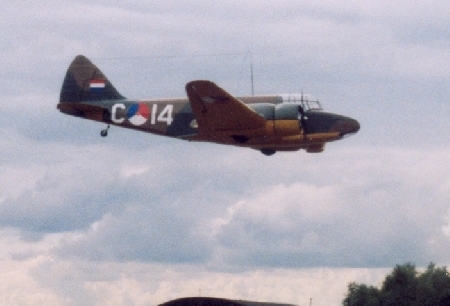 Type: two-seat general purpose trainer. Powerplant: (Mk V): two 450-hp (336-Kw) Pratt & Whitney R-985-AN6 Wasp Junior radial piston engines. Performance: maximum speed 202 mph (325 km/h) at 4,100 ft (1250 m); service ceiling 21,000 ft (6400 m); range 700 miles (1127 km). Weights: empty 5,670 lb (2572 kg); maximum take-off 8,000 lb (3629 kg). Dimensions: span 53 ft 4 in (16.26 m); length 34 ft 6 in (10.52 m); height 11 ft 1 in (3.38 m); wing area 348 sq ft (32.33 m²). Armament: (Oxford I): one 0.303-in (7.7mm) machine-gun in dorsal turret. Operators: FFAF, Portugal, RAAF, RAF, RCAF,RN, RNZAF, Rhodesia, SAAF, USAAF.